Recruiting and hiring a new employee takes a lot of time and effort, but once your organization has signed off on a new hire, there is still more work to be done to make sure he or she has everything in place so that your new employee is fully integrated into the organization. Checklists are a best practice that will help to ensure that your employee understands the company culture, employee policies, benefits and more. The following is what a company checklist might look like. Not every item on this list may apply to your particular company, but it’s a good starting point. 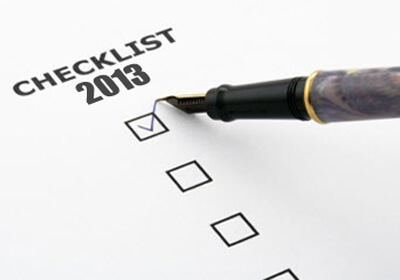 Customize your checklist according to your needs. An onboarding checklist is an excellent tool to help you welcome your new employees and to make sure that each person gets the relevant information needed which will help them to transition into the workplace. Without a checklist, it’s easy for items to slip between the cracks. Your checklist, customized for your particular organization, will help ensure that new employees will get off to a good start.